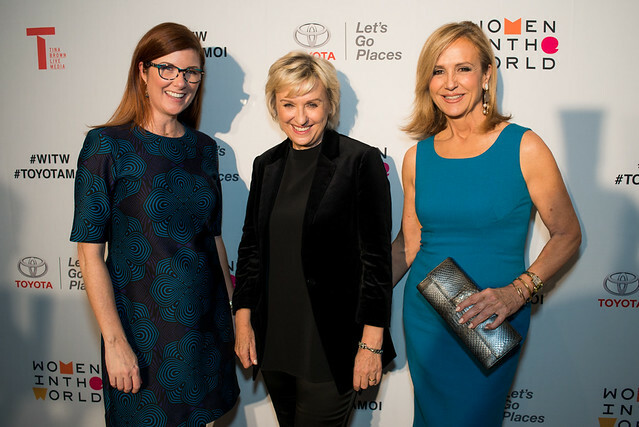 Co-hosted by Toyota and legendary journalist, Tina Brown, the Women in the World live event series took to the Dallas stage on Monday, December 4th at the Dallas Museum of Art. The event honored Maxeme Tuchman, CEO and co-creator of the groundbreaking educational app, Caribu, as the newest recipient of Toyota’s Mother of Invention award grant and featured an extraordinary lineup of speakers. With women at the center of our nation’s latest social movements, the salon continued the conversation with remarkable women of impact who are driving change around the U.S. and globe. The program began with Founder and CEO of Women in the World, Tina Brown, offering opening remarks and a warm welcome the distinguished guests. The salon continued with the panel of women referred to by Brown as, “PerSISTERS”, because they never give up and persist in the face of extreme pushback and adversity. Moderated by Zainab Salbi, author, media commentator and the Founder of Women for Women International, the first female Marine to fly in an F/A-18 on a combat mission and candidate for Kentucky Congress, Amy McGrath; the first female to coach in the NFL, Jen Welter; and the first female Dallas Police Chief U. Renee Hall discussed their journeys of fighting to change the system, break barriers and overcome the status quo. Next, Hannah Song shared her story of survival and hope, coming out of the reclusive rogue nation of North Korea, and creating an underground network that is helping North Koreans escape. Continuing with the theme of overcoming adversity and persevering, Iasia Sweeting took to the stage to share her story of being kidnapped and held captive by a cult leader for four years, while almost starving to death and using poetry writing as her key to survival. Sweeting shared one of her poems she wrote while in captivity with the gripped audience. The evening continued with a candid conversation between Tina Brown and the President of Planned Parenthood Federation of America, Cecile Richards, about leading the battle for women’s health care during a time when reproductive rights are under remorseless attack and the U-S abortion rate is at its lowest point since Roe v. Wade. Concluding the salon, Tina Brown left the audience with some closing thoughts and heartfelt thank you to all speakers, sponsors and guests. 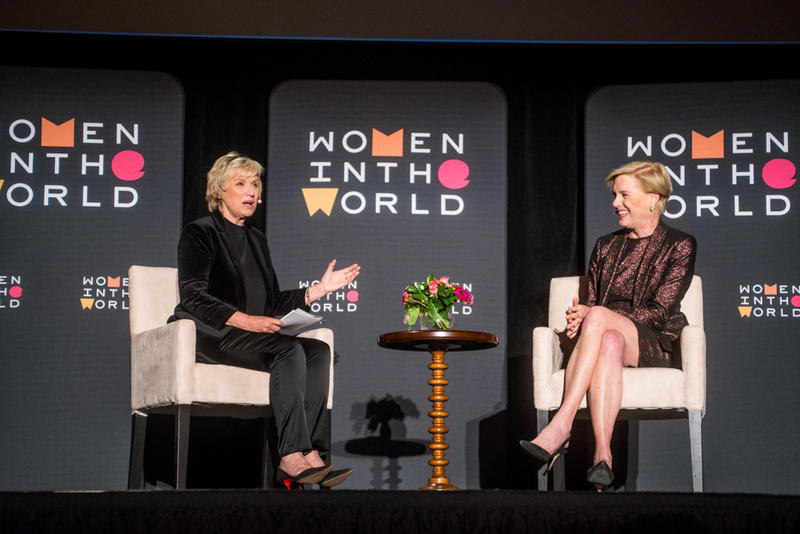 Women in the World Founder Tina Brown, mingled with Dallas’ most notable change-makers, business leaders, and community leaders. Some of the most notable guests included Joyce Goss, Lynn McBee, Kara Goss, Debbie Barnes, Lisa Materazzo, Lucrecia Waggoner, Sarah Evans, Jane McGarry, Abi Ferrin, Brittanie Buchanan Oleniczak, Alanna Sabria, Nicole Stewart, Rebecca Lopez, Kellie Rasberry, and Paige Flink. The Salon was generously supported by Presenting Sponsor Toyota, Leadership Sponsor LG, and Supporting Sponsor AT&T. 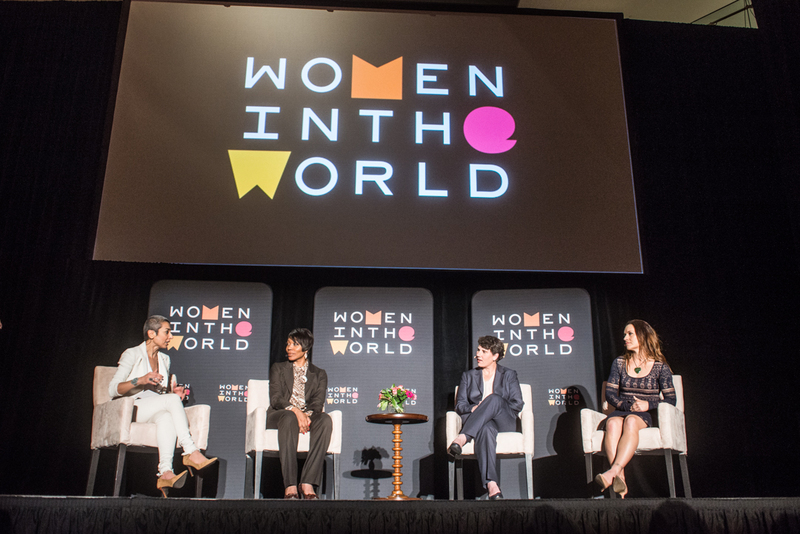 Wide audiences can also experience the Women in the World Dallas event by watching the program from the evening of December 4th online at www.womenintheworld.com/events.